Hueless is a monochrome camera app that has been waiting quietly in one of my several iPhone photo folders for a long time. Recently I finally started using it on a regular basis for taking black and white pictures and I actually found it so enthralling and enjoyable that it has become one of my all-time faves. Share via email, Twitter, Instagram. 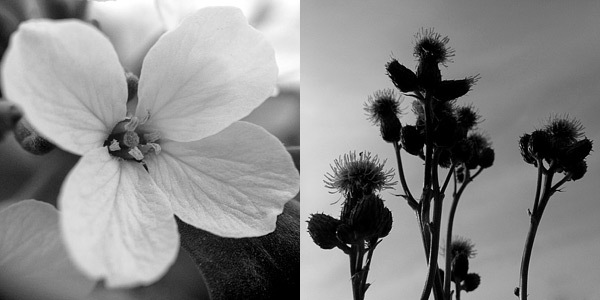 Hueless is provided with a good selection of features with nothing superfluous to get between you and your photo taking. The app has different types of grids (rule of thirds, 1×1 and architectural), slider controls for exposure and contrast and color filters. By tapping on each icon, the user can cycle between all the available options. By pinching on the viewfinder area, it’s possible to set the image aspect ratio (full frame, 3:2, 1:1), while tapping and holding the shutter button, you can switch between classic and full screen shutter. Focus control is also available. Not only Hueless comes with color filters for the black and white effect, but it also includes very accurate controls to regulate their intensity. After tapping on a filter to select it, the user can slide the thumb up and down to make it richer or subtler. 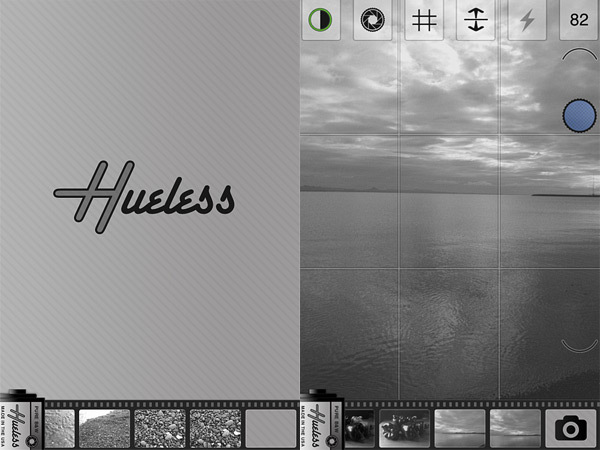 Everything in Hueless works in real time, allowing the user an accurate evaluation before shooting. Usually I am not a fan of real time effects, as in most cases I find them distracting and detrimental to the efficiency of the app; with Hueless however I have never encountered any issue and I actually found the preview useful to set with precision the overall look of the final image. There is also an option to reset the default settings. Rgarding the sharing options: at the moment it’s only possible to send the photos via email, share to Twitter or to Instagram. As a nice extra though, you can set your own credits from the device’s settings for the app. The output image quality is one of the best I have seen on the iPhone, even at the highest resolution. There are no gimmicky effects, no fancy frames, no artsy overlays. Hueless is just about pure, honest black and white. More than a few developers seem to forget that the final qualiy of the images their apps can produce is not secondary to their originality and elegance. Which is a shame, because image quality is in fact one of the fundamental requirements for a photo app. 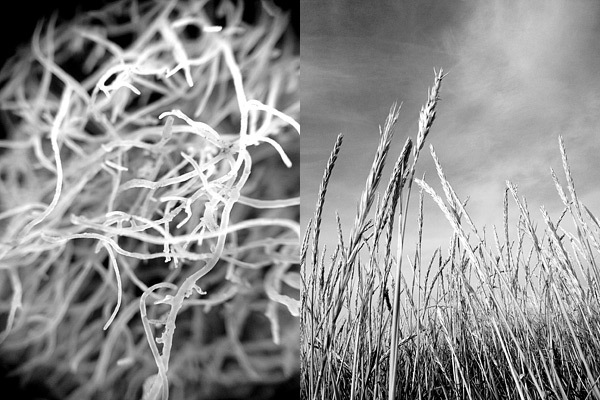 Hueless is a well-designed app with clear and to the point features and useful in-app manual to guide newbies through their first shoots. 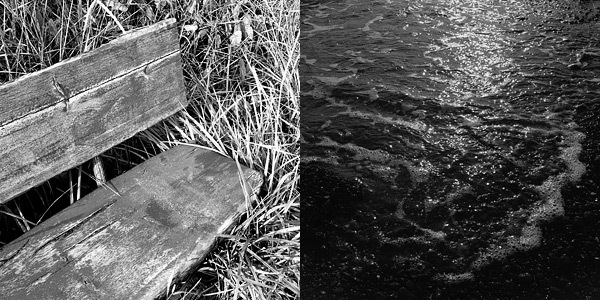 It’s one the apps I warmly recommend to addicts of black and white photography on the iPhone. Compatibility: iPhone 3GS, iPhone 4, iPhone 4S, iPod touch (4th), iPad 2 Wi-Fi, iPad 2 Wi-Fi + 3G, iPad (3rd generation) and iPad Wi-Fi + 4G. iOS 5.0 or later. I found the images this app produced to gray for my liking, lacking the contrast controls that I look for. With this update contrast adjustment is possible and it’s a much better app for it. One question – how does this compare with mpro? I have both, so far I like mPro more, the interface is more complicated (but not worst) but the controls available ensure better shots most of the time. Anyway hueless is a great app too, I just prefer mPro. Yes. Huesless is good, but Mpro is better. It can produce bigger JPGs and lossless TIFFs. The blacks are perceivably blacker out of MPro. The slider design UI needs some getting used to, but gives better control on the outcome. I find MPro confusing, to be honest. TIFF is also useless with iPhone, consumes too much space. As for Hueless, I still have to try it. I probably will soon, after looking at the pictures. I have the Hueless app. At first I didn’t like it that much because I couldn’t control contrast and the images are a little too gray for my liking. The new update adds this control and I am using it a lot nowadays. It’s a great app. Highly recommended. Although I also have MPro, I haven’t used it a lot since I bought it. Probably will try it out this week. How do you delete photos in Hueless album ?